We all know that exercise is good for our health but few believe in it whole heartedly. The world is divided between exercise lovers and haters. It is difficult for some people to experience the ‘bliss’ of endorphins after a good session of exercise. There seems to be a reason behind it. Some experiments show that the chemical response in body to exercise can differ significantly in different individuals. Some experience a ‘high’ due to secretions of chemicals like endorphins and endocanabionoids. On the other hand, some simply do not produce enough of these chemicals in reaction to the exercise. So they tend to dislike exercise for the discomforts and the muscle soreness that follows. Despite all these factors, people do exercise; if not for pleasure, for the health benefits exercise brings. The scientific evidence for exercise is quite substantial. Most doctors and health agencies prescribe exercise. There is a general consensus that exercise is good for us. The only question remains as to how much exercise is actually good and when does it become too much. Endurance sports are known to offer tremendous stress to the body. In a marathon and a half marathon one has to run for 42 km and 21 km respectively. However people seem to like this challenge and we now see increasing number of runners every year in marathons. Some endurance sports like triathlons are even more challenging. A person with a heart condition or illness would not attempt such a challenging physical activity. The people who participate in endurance sports are considered to be virtually healthy . This is one of the reasons why most people are shocked to learn about deaths during a marathon run. They start wondering if marathon and similar events are safe. The media exclusively covers all the events of collapse and deaths during a marathon. Social media also pays enormous attention to these events. Similar instances from the past are retold as a reminder. The articles about dangers of running marathons spring up like mushrooms. However some information is dubious. Most of us are not convinced but these articles usually succeed in creating a lingering doubt. I have seen experienced runners getting worried about the risk of running a marathon. Some people get so worried that they do not let their loved ones run in any event. I was approached by some patients and readers enquiring about my opinion on the risk of endurance sports. I gave it a thought and would like to share some scientific articles which might help you make an informed opinion on this subject . The biggest concern regarding long distance running is about the number of deaths during marathons. We usually presume that the participants are healthy. This makes these deaths unacceptable even though the number is small. The increasing number of collapse and deaths in the last few years has been a cause of worry. However , we need to consider these numbers closely. The ‘denominator’ is an important part of statistics that is hardly discussed in the media. There was an excellent study conducted in America by Jonathan Kim, Rajiv Malhotra and colleagues which was published in the New England Journal of Medicine in 2012. America had witnessed a total 59 cases of cardiac arrests among 10.9 million runners from years 2000 to 2010. They found out that the risk of collapse and death was more in marathons than half marathons. Around 1in 2 lakhs collapsed in half-marathons while same happened to 1 in 1 lakh during a marathon. They could save around 30 percent of those who had collapsed. That makes the risk of death even lesser. This study mentions that the numbers of cardiac arrest during these long distance running events were less than the number of cardiac arrest occurring in middle aged males jogging in routine life. The study concludes that marathons and half marathons have low general overall risk of cardiac arrest or sudden death. A similar study in Japan showed the number of collapse due to cardiac arrest to be around 1 in 50000. They had a better survival rate in Japan and around half of those collapsed survived the cardiac arrest. So that makes one death in 1 lakh runners. Similar numbers were seen in England. After considering studies from all over the world experts opine that we can expect one cardiac arrest every year and one death every 2 to 3 years in a field of 50000 marathon runners. The experts generally consider marathons to be fairly low risk. I haven’t found any data for Indian running events. I would like to imagine that the numbers of cardiac arrest would be similar in an Indian setting. The survival rate may differ in different parts of the nation. Some cities have excellent healthcare facilities while some places are simply not at par. However overall number might not differ significantly to international estimate. These numbers are not as bad as portrayed by the social media. If we were to compare these numbers to the number of deaths on Indian roads due to traffic accidents, they would shock us. Around 1,37,000 people died in road accidents in India in 2013. This was published by NDTV based on data by various sources including National crime records bureau and Global status report on road safety 2013. This article also states that 5 people die every day on Delhi roads. There were around 1214 road crashes killing around 377 people daily. So if we consider the numbers, it appears that driving on Indian roads is riskier as compared to running a marathon. It is ironic that the everyday news of death in a road accident hardly causes any reaction but the rare death in a running event scares everyone to the core! The number of deaths do not tell us the complete truth. For understanding the risk of endurance sports, we need further information. There are studies about causes of deaths amongst marathon runners. The American study mentioned above also looked into this matter. They found out that amongst all the cardiac arrest cases 52 percent had Cardiomyopathy (which means disease of heart muscle). Majority of these had a specific kind of heart muscle disease called ‘Hypertrophic Cardiomyopathy’. This is a medical condition where the heart muscle is deformed and enlarged in some parts. This causes obstruction in the blood flow when heart rate accelerates. These people are also at increased risk of abnormal heart rhythm and sudden death. This is a genetic condition and people are usually do not show symptoms at rest and routine daily work. There could be a history of sudden death in the family. In the same study, they found that the chances of revival after cardiac arrest are less in patients of hypertrophic cardiomyopathy. This disease is often goes undetected as the person looks healthy and has no significant complaints. This disease is an important cause of sudden death during a sporting event. Some tests like electrocardiogram (ECG) and Echocardiography can help in identifying this condition. We have an electrical system in our hearts which makes it run rhythmically. If there is some problem in this system, the heart rhythm may go haywire and can lead to death. This is called ‘arrhythmia’ in medical terms. This arrhythmia could be triggered in stressful conditions . This could be a silent medical condition and a person may not experience any problems for long time. An prolonged ECG recording is carried out in symptomatic people. Around 14% of those who had cardiac arrest were found to have such rhythm problems in above mentioned study. Undetected coronary artery disease (usually called as heart attacks ) was found in 16 % people. Around 7 % of those who died had low levels of sodium in the blood and 3 % had died due to heat stroke. Cause of death could not be identified in around 3 % people. It is clear from above data that the majority of those who collapsed had some form of a hidden heart condition. If such conditions could be diagnosed beforehand, these deaths could be avoided. There are certain check-ups and tests for young athletes before major events like Olympics. Similarly, before a sporting event , one should have a complete physical check up , an ECG and blood tests to understand current health. This needs to be looked at by an expert physician especially if there is coexisting obesity, hypertension, diabetes or any other medical condition. The American study also points out a very interesting thing. Usually heart attacks happen due to rupture of fat laden ‘plaques’ in the arteries. This causes formation of a sudden clot in the coronary arteries which leads to heart attack. They found out that this was not the case in case of runners. Most of them had a heart attack due to inability of the coronary arteries to supply enough blood to the fast running heart. This happens due to stiff and thick coronary arteries which fail to dilate . This led the authors to think that a stress test (or treadmill test) could be useful to such patients before marathons. If someone develops a problem during stress test, then he should not be a candidate for long distance race. This stress test might give a false positive result which means that there may not be actual blockage in coronary artery but the test may still be positive. It’s because of this reason that stress test is not routinely advised. But the observations of the study and opinion of authors indicate that it could be used as a helpful test before long distance running. Especially in people with risk factors. There are some studies which indicate that taking an tablet of aspirin can help in reducing the risk. People who have conditions like obesity, hypertension, diabetes , kidney diseases and people with family history of cardiac deaths have higher risk of death than normal population. Similarly, individuals with symptoms like chest pain, shortness of breath, dizziness after exercise are at increased risk. The echocardiography and stress test can also be useful in such people apart from the routine ECG. Doctors can identify people at risk identifying some hidden cardiac conditions with physical examination and tests. It is wise to undergo such examination before training for any sport. The risk of sudden collapse is more in new and inexperienced athletes. Also, the risk is higher in people with sedentary life style who suddenly decide to run a marathon. Preparation for a marathon is of paramount importance. It is usually suggested that one should prepare for around 4 to 6 months for a marathon. In this period , one is expected to practice for 3 to 5 days a week and gradually build up the stamina. There should be adequate time for rest and recovery. Such thoughtful preparation gives our body a chance to withstand stress of marathon. There are programs like ‘Couch to 5K’ in UK where people are helped to start an activity and slowly increase the endurance. Marathon or any long distance running is not something to ‘try’. It needs careful planning . Long distance running stresses not just the heart but our whole body. Muscles, bones, lungs, kidneys and other organs, all face the stress of the exertion. This stress could be immense, especially in challenging weather conditions and may lead to other dangers. Our body loses sodium with our sweat. During marathons, this minor loss could turn out to be significant. If a runner drinks a beverage without any salt (like plain water ) during a marathon, the sodium levels in blood could drop to dangerously low levels. This is called hyponatremia in medical terms. Adding salt to drinks can help in preventing this problem. Adequate water intake keeps our body working properly. During a marathon run, muscles can get damaged due to over exertion and this may lead to leaking of myoglobin from the muscle into the blood. The myoglobin is a big protein compound which can obstruct functioning of the kidneys. If one is dehydrated then it puts additional stress on the kidneys as well. Staying hydrated also helps in regulating the temperature of our body. This will give you an idea about how important it is to keep drinking enough fluids with electrolytes. The drink should contain enough salts to maintain sodium level. Adequate carbohydrate intake is equally important before a marathon. Carbohydrates are our energy source and need to be replenished to cope with the efforts of a marathon. People on diet and trying to lose weight should bear this in mind. Food and drink need a careful thought before attempting a sporting event, Planning it ahead of the event helps and reduces the risk of developing complications later. India has hot climate for most part of the year. This presents new challenges. There is a certain danger of heat stroke in hot climate. Heat stroke is a condition where the body fails to regulate its temperature and the body temperature starts going up. This could prove fatal. Wearing suitable clothes, staying hydrated and getting acquainted to the weather conditions are some things that can prevent a heat stroke. Excessive fatigue, dizziness, vomiting or feeling sick are some of the symptoms of heat stroke. If you experience any of these then you should stop and seek medical help immediately. A fever also increases the risk of heat stroke. So even minor infections and viral fevers should not be ignored. If you have a fever or are not feeling well, it is better to avoid a run. Running, like other sports, has an inherent risk of injury to muscles and joints. Good preparation is again a key to evade this. A well prepared athlete is less likely to sustain an injury. I believe that coaches and trainers can help you in avoiding a injury . There is usually a fear of damage to the knees amongst the general public. Some studies however show that running could actually be beneficial for health of the knees. Athletes have shown to have many health advantages over people with sedentary lifestyle. So overall benefits of running are more. We have so far talked about efforts at individual level. Organisers should also try to provide infrastructure for safe marathons. Early CPR (cardiopulmonary resuscitation) and prompt use of defibrillators have shown to improve the survival in case of a cardiac arrest. Provision of such facilities and medical backup can help. The record of adverse events and medical problems can help in further identifying risk factors. 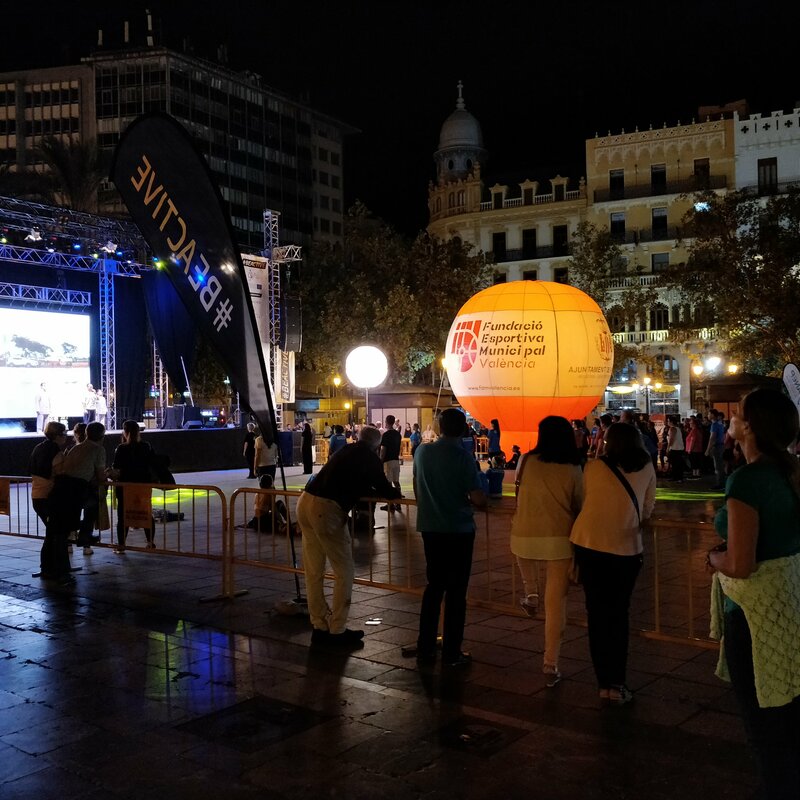 I recently visited Spain where a marathon was conducted at night. Such policies can be used in India to avoid heat strokes. Marathons and long distance running events have some definite risks as they puts lot of physical stress on the body. This risk can be reduced by proper preparation and training before a marathon. Individual factors also play a role. Some individuals have high risk while some have low risk. Such individual risk assessment can be done with physical examination and medical tests. People with high risk can avoid marathons or can seek professional advice. Although it is a tough physical challenge, Marathon is not as dangerous as portrayed by the media. If you want to run a marathon then there are safe ways to do so. You need to acknowledge the risk and effort involved and prepare for it. Staying away from the ‘fads’, avoiding scaremongering and seeking help from experts are some ways to make it easy. मॅरेथॉन धावताना एखाद्याचा मृत्यू झाल्याची बातमी आपल्या कानावर कधी ना कधी आलेली असते. निरोगी असलेली व्यक्ती अचानक कोसळून मृत्यू पावते ही बाब धक्कादायक असते. आजकाल लोक मॅरेथॉन व सेमी- मॅरेथॉन अशा स्पर्धांमध्ये मोठ्या प्रमाणात सहभागी होताना दिसतात. धावण्याचे हे एक नवीन ‘फॅड’ आहे अशा नजरेने काही लोक याकडे बघतात तर काही लोक आरोग्याचे प्रतिक म्हणून मॅरेथॉन कडे बघताना दिसतात. लोकांच्या मनात मॅरेथॉन या प्रकाराबद्दल एक भीतीयुक्त कुतूहल आहे असे बरेचदा जाणवते. काही लोक नियमित धावतात. काही लोकांना मॅरेथॉन धावायची इच्छा असते. मिडिया मधील भीतीदायक माहिती कितपत खरी आहे हे त्यांना माहित करून घ्यायचे असते. काही लोक इतके घाबरलेले असतात की ते स्वतः धावत नाहीत आणि आपल्या जवळच्या लोकांना सुद्धा धावू देत नाहीत. माझ्या एका वाचकाने मला मॅरेथॉनविषयी डॉक्टर म्हणून माझे काय मत आहे हे विचारले. मॅरेथॉन किंवा त्यासारखे प्रकार कितपत सुरक्षित आहेत याविषयी बऱ्याच लोकांना वाचयला आवडेल म्हणून हा लेख. मॅरेथॉन म्हणजे ४२ किलोमीटर धावण्याची शर्यत. सेमी- मॅरेथॉन म्हणजे २१ किलोमीटर धावायचे. एवढे अंतर धावायचे म्हणजे शरीरावर मोठा ताण पडणार हे उघड आहे. या प्रमाणे लांब पल्ल्याच्या सायकल शर्यती सुद्धा शारीरिक दृष्ट्‍या खूप मोठ्या तणावाच्या असतात. अशा प्रकारच्या शर्यती कमी पडतात की काय म्हणून अजून जास्त आव्हानात्मक शर्यती सुद्धा असतात. ट्रायथीलॉन ह्या शर्यतीमध्ये धावणे, पोहणे आणि सायकल चालवणे हे तिन्ही प्रकार एकापाठोपाठ एक करायचे असतात. अशी शारीरिक क्षमतेची आव्हाने काही लोकांना आवडतात. पण या आव्हानांचा ताण खूप मोठा असतो. आजारी असलेल्या व्यक्तीला हे त्रास सहन होणार नाही याची आपण कल्पना करू शकतो. पण वरवर निरोगी दिसणाऱ्या व्यक्तीचा मॅरेथॉन धावताना हा अचानक मृत्यू झाल्याच्या घटना घडतात तेव्हा अशा खेळांबद्दल खूप प्रश्न पडतात. ‘सामान्य जनतेसाठी हे खेळ सुरक्षित आहेत का?’ हा पहिला प्रश्न ! मॅरेथॉन सुरक्षित आहे की नाही याबद्दल बातम्या बघून मत बनविणे मला थोडे चुकीचे वाटते. याचे कारण म्हणजे मृत्युच्या बातम्या आपल्या मनावर कोरल्या जातात. अशा बातम्या जास्त ठळकपणे दाखवल्या जातात. कुठल्याही मोठ्या दुर्घटनेशिवाय झालेली मॅरेथॉन ही आपल्यासाठी एक सामान्य घटना असते. अशा सामान्य घटना आपण लवकर विसरतो. त्याचप्रमाणे शर्यती आणि खेळ सोडून नेहमीच्या आयुष्यात होणारे सगळे मृत्यू हे आपल्या पर्यंत बातम्यांमधून पोहोचत नाहीत. म्हणून आपल्याला मॅरेथॉन मधील मृत्युच्या आकड्यांची तुलना सामान्य जनतेशी करण्यासाठी माहिती उपलब्ध नसते. त्यामुळे मीडियातील चित्र हे जास्त भयंकर दिसू शकते. अशावेळी शास्त्रीय अभ्यास आपल्या मदतीला येतात. धावण्याच्या शर्यतीत झालेले मृत्यू आणि हृदय बंद पडून कोसळणे (कार्डियाक अरेस्ट) ह्या दोन्ही घटनांची नोंद ठेवण्यात आलेली असते. या माहितीतून आपल्याला काय कळते ते बघूया. अमेरिकेत झालेला एक शास्त्रीय अभ्यास मॅरेथॉन आणि सेमी- मॅरेथॉन मध्ये झालेल्या मृत्यू आणि कार्डियाक अरेस्ट (अचानक कोसळणे ) ह्यांचा मागोवा घेतो. जोनाथन किम, राजीव मल्होत्रा आणि सहकारी ह्यांनी २००० ते २०१० ह्या दशकातील अमेरिकेत झालेल्या मॅरेथॉन व अर्ध- मॅरेथॉन मधील माहिती तपासून एक सखोल अहवाल तयार केला. हा अहवाल जानेवारी २०१२ च्या NEJM ह्या जर्नल मध्ये बघता येईल. या अभ्यासात त्यांना असे आढळले की अर्ध- मॅरेथॉन मध्ये हृदय बंद पडून कोसळण्याचा प्रकार २ लाखांमध्ये एका व्यक्तीत घडला. हेच मॅरेथॉन मध्ये एका लाखात एक व्यक्तीमध्ये घडले. अचानक हृदय बंद पडून कोसळलेल्या व्यक्तींमधील साधारणतः ७० टक्के लोक मृत्युमुखी पडले. जवळपास ३० टक्के लोकांना वाचवता आले. म्हणजेअमेरिकेतली अभ्यासात असे दिसले की धावण्याच्या मोठ्या शर्यतींमध्ये मृत्यूचा धोका लाखात एकाला किंवा त्याहीपेक्षा थोडा कमी आहे. अमेरिकेत मध्यवयीन पुरुषाचा नेहमीचे जॉगिंग करताना मृत्यू होण्याचा धोका यापेक्षा जात आहे असेही या अहवालात म्हटले आहे. टोरू शिराकावा आणि सहकारी ह्यांनी जपान मध्ये केलेल्या एका अभ्यासात मॅरेथॉन व अर्ध- मॅरेथॉन मध्ये त्यांना थोडे वेगळे आकडे दिसले. त्यांच्या अभ्यासात धावण्याच्या शर्यतीत साधारणतः दर ५०००० लोकांमध्ये एक हृदय बंद पडून कोसळल्याचे आढळले. पण जपान मध्ये ह्या कोसळलेल्या लोकांपैकी जवळपास ५० टक्के लोकांना वाचवण्यात यश मिळाले. इंग्लंडमधील माहिती सुद्धा जवळपास अशीच आहे. गेल्या काही वर्षातील उपलब्ध माहितीतून तज्ञांनी जे अंदाज बांधले आहेत त्यानुसार ५०००० स्पर्धकांच्या मॅरेथॉन मध्ये दर दोन ते तीन वर्षात एखाद्या व्यक्तीचा मृत्यू होऊ शकतो. गेल्या काही वर्षांमध्ये कार्डियाक अरेस्ट आणि मृत्यूचे एकूण आकडे वाढत आहेत असे सुद्धा दिसते. पण त्याच सोबत एकूण स्पर्धकांची संख्या सुद्धा वाढते आहे. त्यामुळे वाढणारा आकडा हा वाढणारा धोका आहे असे म्हणता येत नाही. भारताच्या बाबतीत अशी पद्धतशीर आकडेवारी मला सापडली नाही. तरी बाकी देशांच्या आकडेवारीतून आपल्याला कल्पना येऊ शकते. जपान आणि अमेरिकेत वैद्यकीय सुविधा खूप चांगल्या आहेत. त्यामुळे हृदय बंद पडून वाचलेल्या लोकांचे प्रमाण ३० ते ५० टक्के दिसते. भारतात आपल्याला कशी वैद्यकीय सुविधा मिळते त्यावरून हे वाचण्याचे प्रमाण बदलू शकते. असे असले तरीही मॅरेथॉन मुळे मृत्यूचा धोका इतर देशांसारखाच असेल असा अंदाज करता येईल. उपलब्ध आकडेवारीनुसार धावण्याच्या मोठ्या शर्यतींमध्ये मृत्यूचा धोका कमी आहे असा निष्कर्ष निघतो. पण आपण फक्त आकडेवारी बघून धोका बघू नये असे सुद्धा मला वाटते. सरसकट बघायला गेलो तर धावण्याच्या शर्यती सुरक्षित आहेत असे म्हणता येईल. पण ह्या शर्यती सुरक्षितच असाव्यात. कारण ह्या शर्यतीत धावणारे लोक बरयापैकी फिट असतात. आजारी माणूस मॅरेथॉन धावायला जाणार नाही. हे फिट दिसणारे लोक मृत्युमुखी पडू नये अशी अपेक्षा असते. जेव्हा असे घडते तेव्ह्या त्याची कारणमीमांसा व्हायला हवी. मॅरेथॉन आणि अर्ध–मॅरेथॉन मध्ये मृत्यू कुठल्या कारणाने झाले हे सखोल बघायला हवे. मृत्युच्या कारणांमुळे आपल्याला धोक्याच्या इतर पैलूंबद्दल कळेल. वर उल्लेख केलेला अमेरिकेतला अभ्यास ह्या बाबीवर प्रकाश टाकतो. ह्या अभ्यासात हृदय बंद पडून कोसळण्याच्या ज्या घटना घडल्या त्यात जवळपास ५२ टक्के लोकांना कार्डीओ-मायो-पॅथी हा हृदयाच्या स्नायूंचा आजार आढळला. ह्यातील बहुमतांशी (सगळ्या कार्डियाक अरेस्ट पैकी ४९ टक्के ) लोकांना हायपरट्रॉफीक कार्डीओ-मायो-पॅथी Hypertrophic Cardiomyopathy हा आजार होता. ह्या आजाराचा मराठीत अर्थ हृदयाचे स्नायू अनावश्यक मोठे होणे असा होतो. हा आजार जनुकीय व अनुवांशिक आहे. हृदयाचे स्नायू सदोष बनतात. हृदयाच्या काही भागांमध्ये स्नायू गरजेपेक्षा खूप जास्त मोठे बनतात. यामुळे रक्तप्रवाह सुरळीत राहत नाही. शारीरिक हालचाल अचानक खूप वाढली किंवा व्यायाम झाला तर रक्ताच्या प्रवाहात जास्त अडथडा येतो. अशा व्यक्तींना व्यायाम करताना हृदय बंद पडण्याचा खूप मोठा धोका असतो. खेळताना मृत्यू होण्याच्या ज्या घटना घडतात त्यात ह्या आजाराचे मोठे प्रमाण असते. हा आजार असलेल्या व्यक्तीला वरवर काही त्रास जाणवत नाही. पण खेळताना जो व्यायाम होतो त्याने अचानक त्रास होतो. किशोरवयीन तसेच तरुणांमध्ये अचानक मृत्यू होण्याचे हे एक महत्वाचे कारण आहे. अमेरिकेत झालेल्या मॅरेथॉनच्या अभ्यासात जवळपास दर दुसऱ्या मृत्यूत हा आजार कारणीभूत आहे असे दिसले आहे. ह्या आजारात हृदय बंद पडले तर व्यक्ती वाचण्याची शक्यता सुद्धा फार कमी असते. प्रयत्नांना फारसे यश येत नाही. आपल्या परिवारात एखाद्याचा अचानक हृदय बंद पडून मृत्यू झाला असेल तर आपण या सजग असावे. इ सी जी (इलेक्ट्रोकार्डीओग्राम) आणि एको च्या तपासणीत हा आजार शोधता येतो. आपल्या हृदयाची एक विद्युतरचना असते. त्यात वेगवेगळ्या पद्धतीचे बिघाड होऊ शकतात. काही बिघाड अनुवांशिक असतात. अमेरिकेतली अभ्यासात हृदय बंद पडलेल्या जवळपास १४ टक्के लोकांमध्ये विद्युत बिघाड झालेला दिसला. ह्यामुळे हृदयाची गती अनियमित होते. हृदय खूप जास्त वेगात चालायला लागले तर त्याचे काम खराब होते. असे बिघाड इ सी जी मध्ये सापडू शकतात. पण कधी कधी हे बिघाड नेहमीच्या तपासणीत सापडत सुद्धा नाहीत. अमेरिकेतल्या ह्या अभ्यासात कार्डियाक अरेस्ट झालेल्यांपैकी १६ टक्के लोकांमध्ये हृदयाच्या रक्तवाहिनी चे आजार (आपण नेहमी हॉर्ट अटॅक म्हणतो तो आजार ) आढळला. ७ टक्के लोकांमध्ये शरीरातील सोडियम चे प्रमाण खूप कमी झालेले आढळले. ३ टक्के लोकांना उष्माघात (शरीराचे तापमान खूप वाढणे) मुळे हृदय बंद पडले होते. ३ टक्के लोकांमध्ये हृदय बंद पडण्याचे कारण सापडले नाही. वरील माहितीवरून आपल्या लक्षात येईल की ज्या लोकांचे हृदय धावण्याच्या शर्यतीत अचानक बंद पडले त्यापैकी बहुतेकांना हृदयाचे आजार होते. यातील काही आजार सुप्त आणि शोधायला कठीण असे असतात. धावण्याच्या शर्यती आधी किंवा कुठल्याही व्यायामाच्या प्रकाराआधी आपण हे आजार शोधू शकलो तर अचानक होणारे काही मृत्यू आपण टाळू शकतो. ऑलम्पिक किंवा इतर काही स्पर्धांच्या आधी अशा काही तपासण्या केल्या जातात. त्यामुळे अशा स्पर्धांमध्ये अचानक होणार्‍या मृत्यूंचे प्रमाण कमी असते (अशा तपासण्या नसत्या तर हे प्रमाण जरा जास्त दिसले असते). मॅरेथॉन व धावण्याच्या शर्यतीत आजकाल सगळ्याच वयाचे लोक सहभागी होतात. किशोर व तरुण स्पर्धकांपेक्षा जास्त वय असलेल्या व्यक्तींची तपासणी थोड्या वेगळ्या पद्धतीने करावी लागते. त्यांच्या विशेष गरजा लक्षात घ्याव्या लागतात. वर उल्लेख केलेला अमेरिकेतली अभ्यास एका विशिष्ट बाबीवर प्रकाश टाकतो. हृदयाच्या रक्तवाहिनीचा आजार (coronary artery disease) हा हृदयविकाराचा झटका येण्यास कारणीभूत ठरतो. सहसा होणारा प्रकार म्हणजे रक्तवाहिनीत चरबी जमा झालेला भाग फुटतो (plaque rupture) व त्यामुळे रक्तवाहिनीत रक्त गोठते व रक्तपुरवठा बंद पडतो. धावण्याच्या शर्यतीत हृदय बंद पडलेल्या रुग्णांमध्ये थोडे वेगळे दिसले. त्यांच्या रक्तवाहिनीत असा चरबी झालेला भाग फुटलेला आढळला नाही. धावताना हृदयाला जास्त ऑक्सिजन लागतो. रक्तवाहिन्या अरुंद झाल्यामुळे धावताना पुरेसा ऑक्सिजन न मिळाल्याने हृदय बंद पडले असे ह्या अभ्यासात दिसले. त्यामुळे धावण्याच्या शर्यतीच्या आधी जर आपण स्ट्रेस टेस्ट (मशीनवर धावताना हृदयाचा आलेख करतो ती तपासणी ) केली तर त्याचा फायदा होऊ शकतो असे हा अभ्यास सांगतो. ही स्ट्रेस टेस्ट किंवा ट्रेड मिल टेस्ट आपण नेहमी किंवा सगळ्यांना सांगत नाही. मॅरेथॉनची तयारी करण्याआधी अशी तपासणी केली व त्यात त्रास झाला किंवा दोष आढळलातर सावध व्हावे असे हा अभ्यास सांगतो. हृदयविकार नसेल तरी अशा लोकांनी धावण्याची शर्यत टाळलेली बरी. मध्यवयीन किंवा ज्यांना हृदयविकाराचा थोडा धोका आहे अश्यांची ही तपासणी केली तर आपण धोक्याचा अधिक चांगला अंदाज घेऊ शकतो. काही अभ्यासांमध्ये धावण्यापूर्वी अॅस्पिरीन ची गोळी घेतल्याने हृदयरोगाच्या झटक्याचा धोका काही प्रमाणात कमी होतो असे सुद्धा दिसले आहे. ज्यांच्या परिवारात एखाद्याच्या अचानक मृत्यू किंवा हृदयरोगाने मृत्यू झाला असेल, ज्यांना पूर्वी हृदयरोगाचा त्रास झाला असेल, ज्यांना डायबेटीस, उच्च रक्तदाब,लठ्ठपणा किंवा किडनीचे आजार असतील अशा लोकांना धोका जास्त असतो. शिवाय छातीत दुखणे, दम लागणे , थकवा येणे इत्यादी लक्षणे असतील तर त्यांना सुद्धा धावताना कोसळण्याचा धोका जास्त असतो. ह्या सगळ्यांकडे लक्ष देण्याची गरज असते.इ सी जी , एको आणि स्ट्रेस टेस्ट अशा हृदयाच्या तपासण्या , आपल्या नेहमीच्या रक्त -लघवीच्या तपासण्या व तज्ञ डॉक्टरांचा सल्ला ह्यातून हृदयाचे बरेचसे सुप्त आजार ओळखता येऊ शकतात. मुळातच कमी असलेला धोका अजून कमी करता येतो. अमेरिकन कॉलेज ऑफ स्पोर्ट्स मेडिसिन ह्यांच्या जर्नल मध्ये धोक्याची आणखी काही लक्षणे सांगितली आहेत. ज्यांना व्यायामाची सवय नाही असे नवखे धावपटू व ज्यांची बैठी जीवनशैली आहे असे लोक ह्यांना धोका जास्त असतो. मॅरेथॉन व अर्ध-मॅरेथॉन च्या आधी शारीरिक व्यायामाची पुरेशी तयारी व्हायला हवी. (मॅरेथॉनसाठी जवळपास ४ ते ६ महिने पूर्वतयारी करावी असे सांगितल्या जाते). आपण दर आठवड्यात ३ ते ५ दिवस धावण्याचा सराव करावा. स्नायुंना पुरेसा सराव आणि पुरेशा आरामाची सुद्धा गरज असते. अशी पूर्वतयारी झाली नसेल तर शरीरावर पडणारा ताण पेलवत नाही. म्हणून आपण मॅरेथॉन धावण्याची चांगली पूर्वतयारी करून धावायला जावे. “आपण मॅरेथॉन धावून बघू जमतंय का “ असा दृष्टीकोन ठेवणे चुकीचे आहे. ज्यांची जीवनशैली बैठी आहे त्यांच्यासाठी हळूहळू शारीरिक हालचाल वाढवण्यासाठी मदत करणारे ‘काउच टू फाईव के ’ म्हणजेच बैठ्या लोकांनी ५ किलोमीटर धावण्यासाठी मदत करणारे कार्यक्रम असतात. यात सुरुवातीला हालचाल वाढवणे, चालणे व नंतर धावायला सुरुवात करणे अशा पायऱ्या असतात. मॅरेथॉन किंवा मोठ्या शर्यतींची तयारी करण्यासाठी यापेक्षा जास्त तयारी करावी लागते. यासाठी अनुभवी प्रशिक्षक असेल तर मोठी मदत होते. मॅरेथॉन व मोठ्या शर्यतींचा परिणाम फक्त हृदय आणि फुस्सुसांवर होत नाही तर आपले स्नायू, किडनी शरीरातील क्षार इत्यादी सगळ्यांवर होतो. शरीरातील सोडियम खूप कमी होणे याला इंग्रजी मध्ये हायपोनायट्रेमिया म्हणतात. मोठे अंतर धावताना घामातून मोठ्या प्रमाणात क्षार आणि पाणी बाहेर टाकल्या जाते. जर सोडियमचे प्रमाण अचानक खूप कमी झाले तर जीवाला धोका निर्माण होतो. जर धावायची सवय नसेल, वजन खूप कमी किंवा खूप जास्त असेल, धावताना क्षार नसलेले पाणी खूप मोठ्या प्रमाणात पिण्यात आले आणि चार तासांपेक्षा जास्त व्यायाम झाला असेल तर सोडियम क्षार कमी होण्याचा धोका जास्त असतो. क्षार कमी होण्यासोबत किडनीवर वाईट परिणाम होण्याचा धोका असतो. स्नायुंना खूप जास्त व्यायामाचा ताण पडला तर स्नायुंना इजा होते. स्नायुमधील मायोग्लोबीन रक्तात सांडते. ह्यामुळे किडनी च्या कामात अडथडा येतो. शरीरातील पाणी कमी पडले तर त्याने सुद्धा किडनीवर ताण येतो. मॅरेथॉन धावण्याआधी काही औषधे घेतली तर त्याचा किडनी आणि क्षारांवर सुद्धा परिणाम होतो. मॅरेथॉन ची तयारी करताना ह्या गोष्टींकडे लक्ष द्यावे. धावताना आपण किती व कसे खाणार आहोत, कुठली पेये कशी पिणार आहोत याची योजना आधीच करावी. मॅरेथॉन धावण्याच्या आठवड्यात आहारात पुरेशी कर्बोदके असावीत. कारण धावताना इंधन म्हणून त्यांची गरज असते. मॅरेथॉन धावपटूंचा आहार हा इतर आहारांपेक्षा वेगळा असतो. वजन कमी करणारे डायट घेऊन मॅरेथॉन धावणे चुकीचे ठरू शकते. धावताना शरीराचे तापमान वाढते. शरीर थंड ठेवायला घामाची मदत होते. यासाठी शरीरातील पाणी आणि क्षार वापरल्या जातात. वापरलेले पाणी आणि क्षार भरून काढण्यासाठी क्षारयुक्त पाणी (ओ आर एस ) पिण्याची गरज असते. त्याशिवाय योग्य प्रकारचे कपडे महत्वाचे असतात. उष्ण आणि कोरड्या वातावरणात धावणे/व्यायाम करणे खूप कठीण असते. अशा वेळी उष्माघाताचा मोठा धोका असतो. शरीरात जंतुसंसर्ग (इन्फेक्शन )असल्यास किंवा ताप असल्यास सुद्धा उष्माघाताचा धोका जास्त असतो. त्यामुळे अशा गोष्टींकडे दुर्लक्ष करू नये. आजार छोटा असेल किंवा ताप कमी असेल तरीही आजारी असताना मॅरेथॉन धावू नये. ज्या वातावरणात धावायचे आहे त्या वातावरणाची सवय होण्याची गरज असते. त्यासाठी सरावाचा फायदा होतो. क्षार असलेले पाणी भरपूर प्रमाणात पिल्यास फायदा होतो. डोके दुखणे , चक्कर येणे, मळमळ उलटी वाटणे, नेहमीपेक्षा जास्त थकवा वाटणे , नेहमीपेक्षा जास्त दम लागणे अशी लक्षणे दिसली तर धावणे थांबवायला हवे. उष्माघात प्राणघातक ठरू शकतो. स्नायू , हाडे आणि सांधे यांना खूप धावल्याने किंवा खूप व्यायाम केल्याने इजा होऊ शकते. शरीराला व्यायामाचा सराव कमी असेल तर इजा होण्याची शक्यता जास्त असते. योग्य पद्धतीने सराव केला तर इजा होण्याचा धोका कमी होतो. हे सगळ्या व्यायामांसाठी लागू आहे. तज्ञ प्रशिक्षक इजा टाळण्यात व झालेली इजा लवकर बरी करण्यासाठी मोठी मदत करू शकतात. मॅरेथॉनसारख्या शारीरिक आव्हानांमध्ये धोका असतो. हा धोका कमी सुद्धा करता येतो. आपण काळजीपूर्वक तयारी केली तर वैयक्तिक पातळीवर धोका अमी करू शकतो. मॅरेथॉन आयोजकांनी सुद्धा काळजी घेण्याची गरज असते. धावपटूंसाठी सगळ्या आवश्यक सुविधा असाव्यात. जीवनावश्यक औषधे, डीफीब्रिलेटर हे यंत्र आणि वैद्यकीय चमू सुसज्ज असावेत. वेळेत सी पी आर आणि डीफिब्रीलेटर चा उपचार मिळाला तर रुग्ण वाचण्याची शक्यता वाढते असे जपान च्या अभ्यासात दिसले आहे. याशिवाय धावपटूंना झालेल्या त्रासांची नीट नोंद ठेवायला हवी. जर काही ठराविक त्रास वारंवार होत असतील तर त्यासाठी उपाय करता येऊ शकतील. उदा उष्माघाताचा धोका जास्त असेल तर मॅरेथॉन रात्री आयोजित करता येऊ शकते. इतक्यात आम्ही स्पेन मधील व्हॅलेंसिया या शहरात रात्री होणारी मॅरेथॉन बघितली. मॅरेथॉन धावणे हा फिटनेस किंवा आरोग्याचा मार्ग नाही. ते फिटनेस चे एक लक्षण आहे. यात फिटनेस पेक्षा आव्हानाचा भाग जास्त आहे. आपण फिटनेस साठी कमी तीव्रतेचे व कमी आव्हानात्मक प्रयत्न सुद्धा करू शकतो. पण मॅरेथॉन धावण्यासाठी योग्य प्रकारे प्रयत्न केले तर धोका कमी आहे. ज्यांना इच्छा आहे व ज्यांना धोक्याचे घटक नाहीत त्यांनी अवास्तव भीती टाळून योग्य प्रकारे सराव करावा. जे लोक अगोदरच तीन चार मॅरेथॉन धावले आहेत त्यांना धोका कमी असतो. स्त्रियांना सुद्धा अचानक कोसळण्याचा धोका कमी असतो. पूर्ण अभ्यास आणि सराव करून मॅरेथॉन धावणारे सक्षम ठरतात. अशा लोकांमध्ये जीवनमान चांगले व आजार कमी असतात असे बऱ्याच अभ्यासांमध्ये दिसले आहे. मॅरेथॉनचा स्वतःचा धोका खूप कमी आहे असे म्हणायला काही हरकत नाही. प्रत्येक व्यक्तीची शारीरिक क्षमता आणि स्वतःचे धोक्याचे घटक वेगवेगळे असतात. ते समजून घेणे आवश्यक आहे. त्यासाठी तज्ञ डॉक्टरांचा सल्ला घ्यावा आणि तपासण्या करून घ्यावा. नियमित सराव आणि प्रशिक्षकांचे मार्गदर्शन घेऊन आपली क्षमता वाढवावी. धावणे , व्यायाम, खेळ किंवा मॅरेथॉन ह्या सगळ्यांसाठी हे लागू आहे. अवास्तव भीती आणि फॅड या दोन्ही पासून दूर राहून सारासार विचार केला तर खेळ आणि शर्यती सोपे आहेत. फोटो: सिद्धेश पंडित . सुरक्षित धावा आणि निरोगी राहा!